In June 2016 WWDC, Apple was announced about iOS 10 at that time Apple said that next iOS upgrade would be launch in upcoming fall. And now tech giant Apple is ready to release more powerful iOS 10 along with launching event of new handsets iPhone 7 and iPhone 7 Plus. After the total number of 8 betas testing, Latest software Pack iOS 10 is really a mother of all previous iOS update. Introduced revamped iMessage service, much powerful Siri functionality, new Home App for home automation, Music, all-new Photos, Map, much better Security + Privacy and many more. Therefore, to access all features of iOS 10 on your iPhone, iPad Air/ iPad Pro/ iPad mini or iPod touch 6th generation. You must be download and install iOS 10 on iPhone 6S, 6S Plus and earlier models. 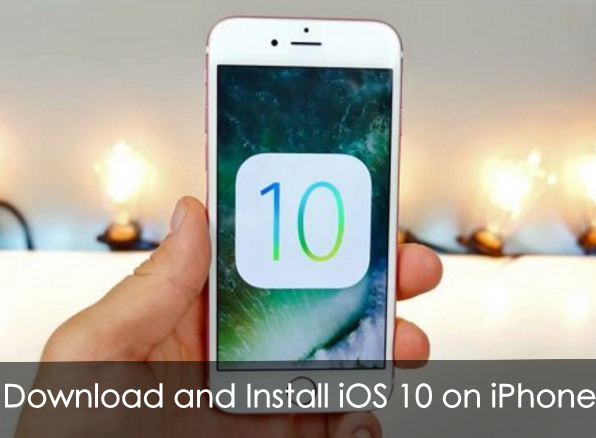 Get here everything about to download and install iOS 10 procedure for compatibles Apple iPhone, iPad & iPod touch. Before get started following steps, make sure that your iOS device is eligible to upgrade for iOS 10. If you have no mine, check out it here. Inherently, there are two ways to upgrade iOS firmware – first is OTA (Over-the-Air) upgrade method and remain is using Apple iTunes by connecting iOS device with PC/Mac. Step 1. Take a Fresh Backup of your iOS device [iPhone, iPad, iPod]. If you have taken all ready then go next. Step 2. Launch Settings App. Step 3. Tap on General. Step 4. Flick on Software Update. Step 5. If Update is available, then you will be getting Software iOS 10 Download button on the Screen. Step 6. Follow on-screen instructions and go until download process get started. Step 7. After it, you will get an install option tap on it. A Caveat: To do start installation, your Phone must have charged either 50% & above or in plugged-in with Charging Adapter. Download iOS 10 Firmware on your System. Launch iTunes on Mac/ PC > Connect iPhone with iTunes using Lightning cable > Tap on Summary > Option + Update button Mac and Shift + Click on Update Button on PC > Choose ipsw file in Brows window >Tap on Update from Popup. Let’s share your feedback in the comments box and tell us how seems this way as you expected to download and Install iOS 10 on iPhone 6S/ 6S Plus.